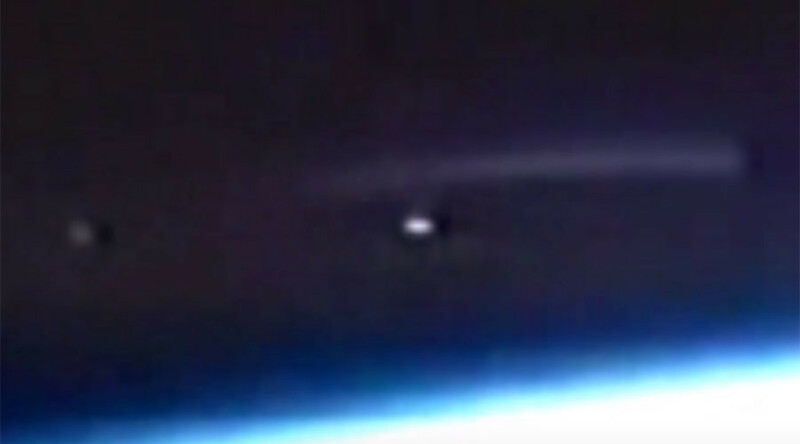 In the video taken from an ISS camera feed, what has been described as a “cigar-shaped” UFO appears to hover above the Earth, with two objects visible below it. The footage has prompted some excitement in the comment section from like-minded YouTubers. The blogger provided an example of a similar lens flare in another ISS video feed, and accused Streetcap1 of never presenting links to the “raw footage” in order to hide the full footage.